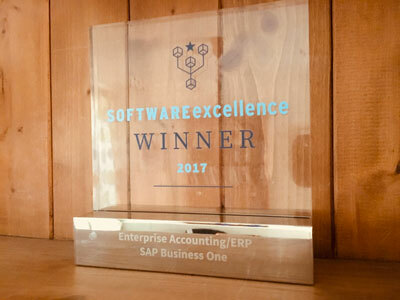 Last night, SAP Business One was announced as the winner of the Enterprise Accounting/ERP category, at Accountancy Web’s 2017 Software Excellence Awards. The award was based on the experience of 7,000 users, who voted for SAP Business One in this category, shortlisted against Exact and Pegasus. Codestone would like to take this opportunity to thank our customers as if it wasn’t for you SAP Business One wouldn’t have received this fantastic accolade.